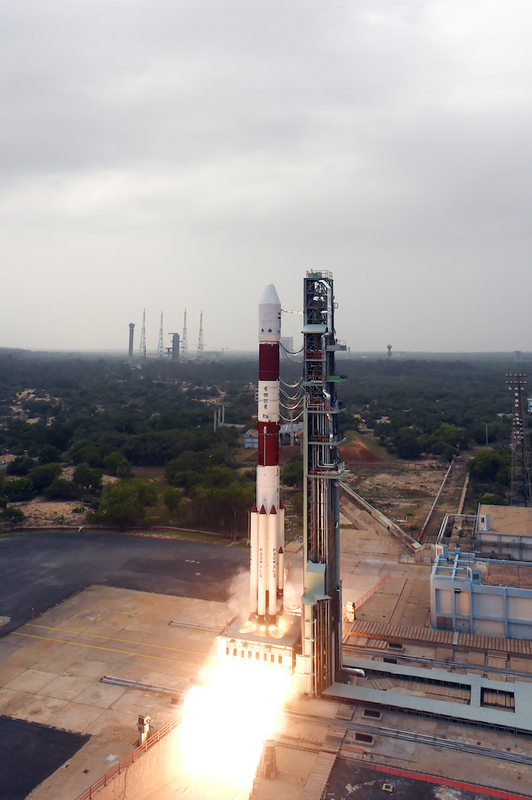 For the first time, the Indian Space Research Organization has released stunning imagery from cameras mounted on-board a Polar Satellite Launch Vehicle heading to orbit this Wednesday with a satellite to survey natural resources and urban growth. 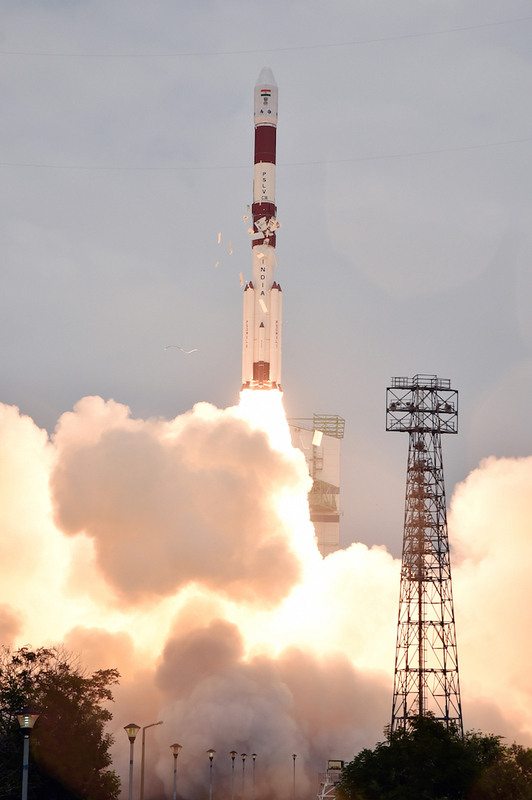 While the video was downlinked at a low frame rate, the imagery shows the 145-foot-tall (44-meter) rocket lifting off from the Satish Dhawan Space Center on India’s east coast at 0455 GMT Wednesday (10:25 a.m. local time; 11:55 p.m. EST Tuesday), soaring through low clouds, then releasing its six strap-on solid rocket boosters in the first 90 seconds of flight. 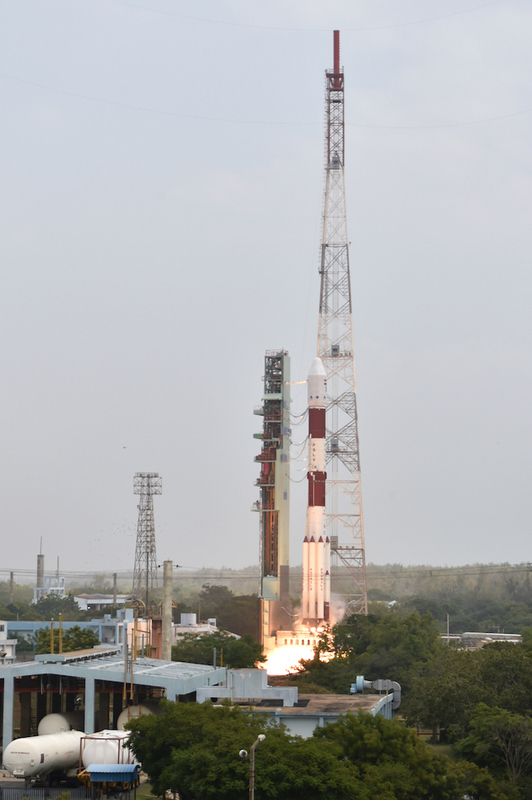 The video clip then jumps ahead, skipping the separation of the first and second stages, to show the release of two halves of the PSLV’s clamshell-like nose fairing around two-and-a-half minutes into the mission. 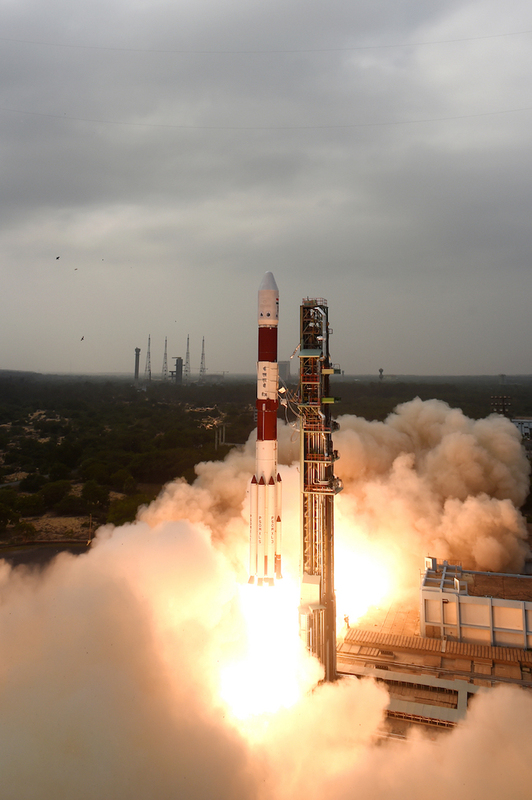 A second video released by ISRO shows the separation of the Resourcesat 2A satellite in polar orbit more than 500 miles (800 kilometers) above Earth. 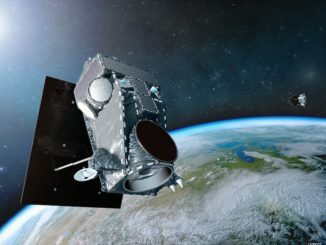 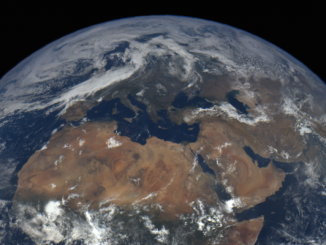 Moments after its deployment, the spacecraft extends its power-generating solar panels at the start of its five-year Earth observation mission. 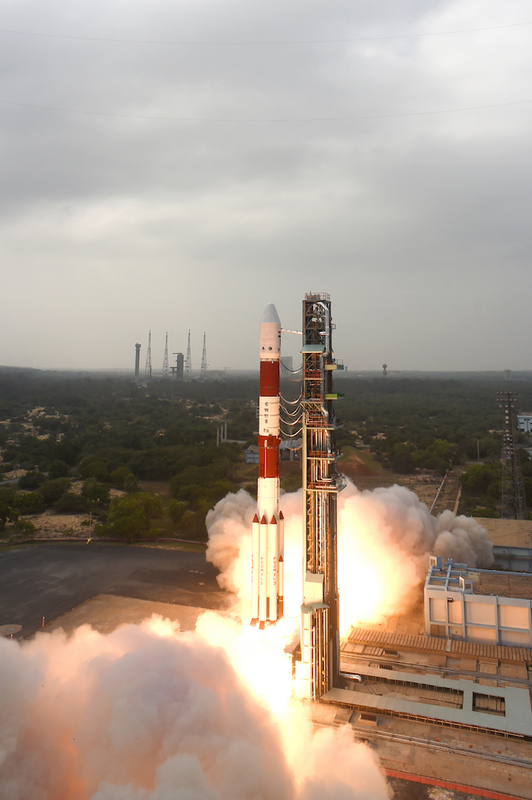 Engineers at a ground control station in Bangalore took over control of the spacecraft immediately after separation from the PSLV’s fourth stage, ISRO said. 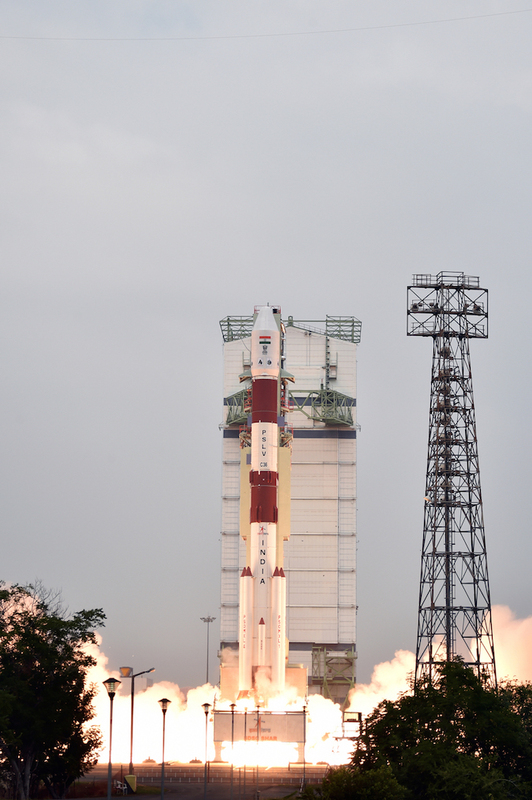 Wednesday’s launch was the 38th flight of India’s PSLV, and its 37th straight success. 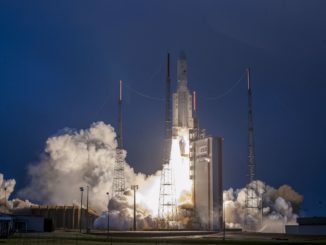 More still photos from the launch are posted below.